Note: You could make this with kalamata olives and greek feta. It would just be saltier and more assertive. Still plenty tasty, though! 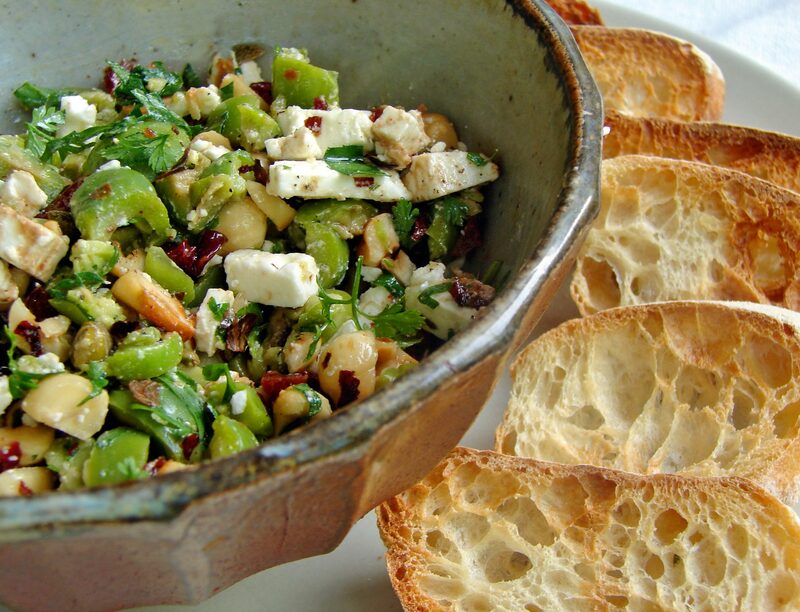 This entry was posted in appetizer, recipe and tagged bruschetta, capers, castelvetrano, crostini, dried cherries, feta, french feta, hazelnuts, olives, tapenade by Claire. Bookmark the permalink. I’m pretty sure that if you’re taking a standardized test, you’re supposed to include a talking pineapple in the story! D’oh! I forgot the talking pineapple! I’ll be sure to remind Malcolm to include one in every single essay he writes for the rest of the week! I loved reading this – it made me smile! It shows just how crazy our ‘writing rules’ can sometimes be. Thank you so much for your kind words! Made my day. It’s funny about the writing – I know he needs structure, and I want to help him understand what they’re teaching, but doesn’t it seem lazy just to conclude by saying what you’ve already said? Oh well.